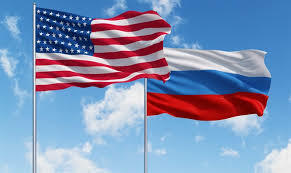 Six Russians, including two members of the Central Election Commission (CEC), will depart for the US on Sunday to monitor the upcoming US elections as part of the OSCE Office for Democratic Institutions and Human Rights (ODIHR) mission, Russian Association of International Law Vice President and former CEC member Vasily Likhachev told TASS on Friday. "Our team consists of six people, while there are 100 members in the OSCE ODIHR mission. On Sunday, our representatives will depart for Washington," he said. "Our team includes two CEC members… and representatives of Russian civic organizations related to the field of electoral technologies. These six people were chosen based on the criteria developed together with the US," he noted. According to Likhachev, the OSCE ODIHR mission will spend five weeks in the US. "Our participation is based on the OSCE regulations and the UN’s principles of cooperation," he noted, adding that Russian experts were always guided by international law. "There is not much positive in Russian-US relations at the moment, but this is a positive thing that will help improve relations. Our citizens will abide by the OSCE rules and US laws," Likhachev said. The 2018 midterm elections are scheduled to be held in the US on November 6. All the 435 seats in the House of Representatives and 35 of the 100 seats in the Senate will be contested.